I’m often asked how spinal pain can start. Today I’d like to share 3 general aspects of how it begins and progresses. Compression. Think about all the sitting we do daily. Plus, all the work we do around our homes, carrying our children, bad posture, work duties, old injuries, weak muscles, inactivity and so much more. All these things combine to put pressure on our spines which leads to nerve aggravation and pain. Dysfunction. Have you ever been able to turn your head fully one way but only half as much to the other side? Or tried to bend to tie your shoes and noticed you can only go half as far as you used to be able to? These are examples of your joints not working correctly. This is significant because it leads to the joints getting work down which is a nice way of saying they can become degenerative and arthritic. Inflammation. When compression and dysfunction are present the joints do not behave as they should, and inflammation will begin to build within the body. This inflammation is painful and in part a symptom of what is going on with the spine. If the first two are corrected, you will be able to heal properly, and the inflammation will begin to dissipate. If you’re having the signs I’ve outlined above where should you start? Start by seeing a chiropractor for an evaluation and treatment. Chiropractic adjustments will help re-align your spine which will alleviate the compression, help correct the dysfunction and decrease the inflammatory process. If you would like to feel and move better, I would be happy to help! My belief is that going out of your comfort zone helps reset what you see as normal and what you perceive to be possible while also making you more resilient to life’s challenges. 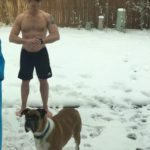 Today I’d like to share some of the methods I use to get myself more uncomfortable to help sharpen my body and mind, endure any challenge and stay calm under pressure. I’ve used these techniques for benefit athletically, personally and in my business. Cold training. In my experience, there is nothing that destroys a person’s drive and motivation quite like being exposed to the cold. Therefore, if you can learn to make cold your friend you will develop a mental and physical edge that others only dream of. 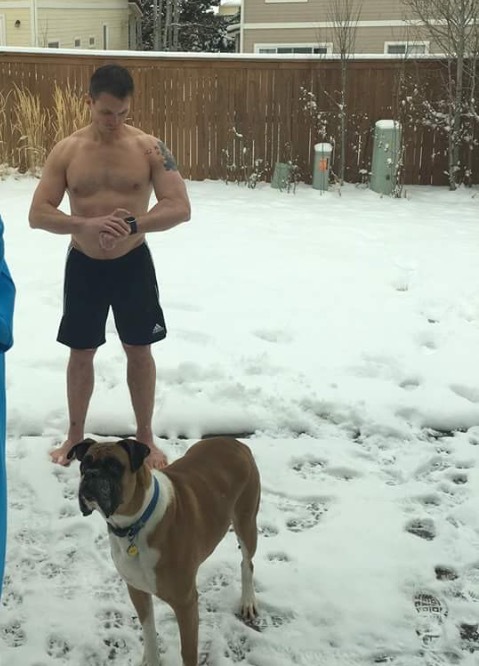 I employ cold training by running in frigid temperatures with minimal clothing, standing barefoot in snow for 5 minutes or more while wearing only shorts (this is the Wim Hof method that I’ve begun using recently), ice baths, frigid showers and more. As extreme as this may sound to some, you will be amazed at the physiological and mental benefits it provides. When things get hectic in my life and I have tons going on I will often think back to races or training in the cold and immediately whatever I’m facing in the present doesn’t seem as daunting. “Alarm clock” challenges. We’ve all had the experience where we’ve gone to bed excited about getting up early to accomplish something in the early morning only to hit the snooze alarm for an hour and avoid doing it. I challenge myself to get up earlier than I must and perform exercise, go for a run or get something accomplished for my business. Empowering yourself over your alarm clock will help you begin your day with a win and help you gather momentum throughout the rest of the day. I also think accomplishing something when others are still sleeping tends to make you feel great. Get around people that inspire you. Whether in business or in my personal life I have derived great value from being involved in groups. I believe being a part of a group helps keep you accountable, motivated and the camaraderie can be excellent. As a recent example, on Facebook I have become a member of Jesse Itzler’s #2017ofEverything group. The group accepts a monthly physical challenge to be performed over a series of days. Though I do all my workouts on my own I have found the group to be amazing. The group members range from elite athletes to people that are using the challenge to exercise for the first time. Reading posts about their progress inspires me to go beyond my comfort zone. Getting around others that are hungry for success I believe can be a great tool as we strive to improve as well. There is almost not a day that passes that I’m not asked about whether chiropractic can help a woman during pregnancy. For over 11 years I have helped pregnant women and continue to do so each and every week. Today I would like to share 7 interesting facts from my experience of caring for pregnant women. Chiropractic is completely safe during pregnancy. I have personally performed more than 200,000 pregnancy adjustments. The same care I gave to the mother of my children during her pregnancies is the same care I give to my pregnant patients. Widespread research over many years also confirms the safety and benefit of chiropractic care during pregnancy. Chiropractic care helps relieve spinal pressure during pregnancy. In order to accommodate for the growth of the baby, a woman’s center of gravity will begin to change. This causes more pressure (and thus pain) within the lower back, sacral and hip areas, especially during the first trimester. During the 2nd trimester as the baby grows larger a woman may begin to have more thoracic (mid back) pain. Neck (cervical) pain is also common though usually not as severe. Chiropractic adjustments alleviate this pressure and pain. Chiropractic care provides proper nerve supply for the baby to aid in growth and development. When a woman’s spine is misaligned it will pressure her nerves. For example, the nerves that leave the spinal cord in the lower back not only power the surrounding muscles but also control the reproductive areas as well. Removing nerve pressure leads to pain relief but more importantly it allows for proper nerve supply to the baby to aid in growth and development. Many women receive chiropractic care throughout their entire pregnancy. Growing a human life inside of your own body is no small feat. As a result most women experience more discomfort with each progressive week. Chiropractic care makes the experience of pregnancy more enjoyable by allowing for less pain, better mobility, improved sleep and more. This is also why of all my patients; pregnant women often leave the happiest. My evaluation for a pregnant woman is completely non-invasive. My examination process during pregnancy (or women attempting to become pregnant) involves a detailed history, postural evaluation, range of motion and orthopedic testing, spinal and muscle evaluations. This provides ample data for me to use in order to help the patient. X-rays or other more invasive procedures are never performed on expecting moms in my office. Pregnancy adjustments lead to immediate results. As women progress through pregnancy their bodies continue to produce more and more of the hormones necessary to facilitate childbirth. 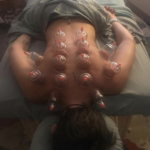 Many of these hormones cause ligaments to relax which allows for extremely easy, low force adjustments to be performed with great ease and instant improvements. Other than children, pregnant women are the easiest adjustments I perform. Many medical doctors and mid wives refer their patients to chiropractors. I have personally received countless referrals from these practitioners throughout my career. I believe this is due to trust that I’ve built up with these experts after helping so many of their patients. One of my greatest referral sources at my previous office was from a doctor that recommended her patient not receive chiropractic care at my office during her pregnancy. I called her to respectfully ask why and we ended up having a great discussion. Once she understood better my approach to pregnancy care she began recommending chiropractic care for all of her patients, many of which I was fortunate enough to care for. These types of referrals are common. Dr. Kenney has won multiple awards for “Best Chiropractor” and specializes in helping patients achieve their goals of better health and pain relief. For more information or to schedule an appointment please visit www.NewBodyChiro.com, find us on Facebook (New Body Chiropractic & Wellness Center) or call (303) 347-9906. Below are 3 concepts I believe lead to success in life, business or almost any endeavor. I call them my 3 C’s to success. Create outcomes through action. Something I observe regularly is the correlation between someone’s efforts and their success. This can be physical efforts, business efforts or efforts at self improvement. My experience is that those that take fewer (or half hearted) actions tend to create lesser results while often having the most excuses. Conversely, those that are constantly putting in sincere effort create better outcomes. I believe that energy is either created by action or diminished by lack thereof. As an example, a deal that falls through may be initially disappointing but then lead to a better opportunity later. The effort and desire produced results. Quite simply, the more positive actions you take the more you will be rewarded in one form or another. Consistency. There is no substitute for making correct choices time and again. I’ve witnessed people begin to pursue proper diet and exercise, savvy business practices or positive personal enrichment only to revert back at some point to old, unsuccessful habits. The problem was not that their actions were faulty but rather they failed to follow them consistently. Often the lack of instant results causes doubt at which point we may fall back on habits we see as comfortable or familiar. Much like a flower requires water, sunlight and nutrients before it breaks through the soil; we need consistent actions often over a long period of time before we reap the rewards. Control what you can. At any given time there are thousands of things to stress about, lose confidence over or waste time on. I believe it’s important to direct our efforts into the things we can control and avoid worrying about the things we cannot. As an example, in business I can directly affect how I set up and offer my services to the public. Therefore, I try to create a welcoming environment that is professional, efficient and customer friendly so that people feel comfortable seeking care within my office. Does that mean that everyone will use my services? Of course not, however that aspect is out of my control and if I were to obsess over it would make me a less effective doctor and businessman. Focusing on the things we can directly affect leads to greater confidence, self esteem and productivity. 2,076. Out of just over 2100 people, that’s where I was predicted to finish in my race by the “race predictor.” For someone that is extremely competitive and has tackled some very challenging races throughout the years this was very humbling. The race to which I’m referring is known as the Pikes Peak Ascent which is slightly more than a half marathon distance although more challenging than any marathon you’ll find. It begins at about 6,000 feet above sea level and after 13.3 miles and 8,000 feet of elevation gain over rocks and rough terrain eventually delivers you to the top of Pikes Peak, one of Colorado’s famous “14ers.” I competed in this event for the first time last year and with 4 miles to go got altitude sickness – which both literally and figuratively made my race extremely ugly (here’s a LINK to my blog from last year about overcoming it – http://newbodychiro.com/2015/08/). Based on that performance I was seeded 2,076 this year. Since I crossed the finish line last year resembling something out of The Walking Dead, I’ve been anxious to attempt it again. However, as the race grew closer it began to appeal to me for reasons other than just completing it again. I saw this race as a metaphor for a specific time in my life. A few years ago I moved across country with my family to a state where I knew no one and had to start over in my career. Within months I was divorced, living in a small apartment, had little money and had to adjust to only seeing the loves of my life – my two young boys only 3-4 days per week. As challenging as that was, I made the decision from the start to never complain, to never quit and always keep moving forward. As difficult as things were, I saw it as an opportunity to reinvent myself. Years later I am now a business owner, financially stable, have a nice home, am engaged to an amazing woman and have a closer relationship to my boys than ever before. I transformed difficult times into a life far greater than I’d ever experienced. In other words, I made a comeback. 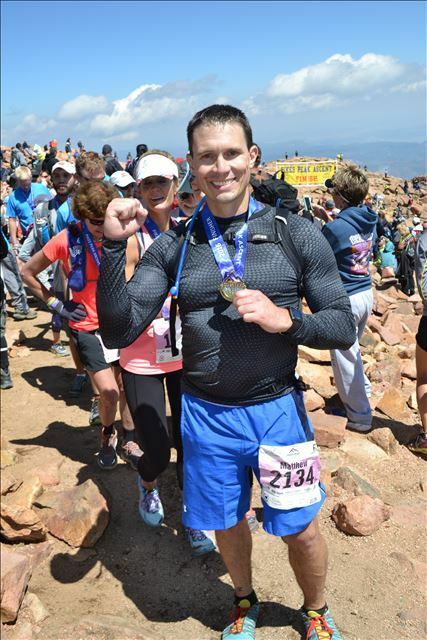 As I lined up for the race in the 21st (and final) group of runners this past weekend I thought back to those times and embraced the strength it gave me. Not only did it motivate me at race time but it made me train harder and smarter in the months and weeks leading up to that moment. I was blessed because my failures motivated me, gave me passion and there I stood with an opportunity to earn a new outcome. I even took it as a sign when the night before the race my 9 year old gave me his advice “Daddy keep reeling them in (passing other runners) and stay hungry!” Those words were profound to me and exactly what I needed to hear. Throughout the race I repeated them in my head hundreds of times and I did exactly as he told me. In the end, the race was one I consider my best ever and of which I am the most proud. I didn’t win; in fact I wasn’t even close (or even close to being close) to winning. However, I came from dead last at the beginning and finished in the top 50%. Just as my son told me, I reeled people in and stayed hungry for 4 hours and 43 minutes and finished 90 minutes faster than I did the previous year. I gave every ounce of effort I could while embracing all the fatigue and challenge the race presented me. As the elevation got higher and the miles got exponentially tougher I became even more determined to prove to myself what I could achieve. It was very similar to how things had gone for me a few years back in my personal life – start from scratch, keep moving forward and eventually create a greater outcome. One of the things I will always remember about the race is finishing the last ½ mile with a group of about 5 people. The closer we got to the top the more emotional it became. As I crossed the finish line the woman behind me grabbed my arm, smiled and while crying said “we did it!” This was another reminder to me of how after we’ve endured pain or disappointment, how amazing it feels to attain a personal victory. At the top of the mountain I had an hour to enjoy the amazing views and reflect. I felt blessed to have experienced in that race what I had in life – the satisfying feeling of a great comeback! Over the last few days I’ve had conversations with several people going through difficult times. Having gone through such times myself it got me thinking about the ways that were helpful for me in overcoming those times. Today I’d like to share some of my favorite tips when facing adversity. Don’t be negative. Talking negatively too often and/or dwelling on the past is ultimately not constructive and has the damaging consequence of slowing (or preventing) our potential for solutions. Worse, it can also become a destructive habit over time. Rather than focusing on negative things, seek out the positive. Direct your energy toward your positive traits, previous successes and the things you DO have in your favor. This mindset will fuel you toward greater outcomes instead of hindering your progress. Get out of yourself. Something I’ve found extremely helpful during hard times is helping other people. This helps get us out of own heads while providing a better perspective on our lives and problems. Nothing will help you feel better about yourself than helping someone else. Suit up and show up. There will be rough patches in life for all of us – personally, financially, etc. When we encounter these challenges there may be a temptation to quit taking the steps necessary to improve our situation. You may not feel like getting up many days, may avoid the work you know you should be doing, you may cancel and not show up, etc. I believe that for things to improve you must continue battling every day – even the days when you absolutely do not want to. Your situation can be dramatically improved simply by continuing to push on; you never know when your break will come. Read the signs. Whenever I am faced with adversity I focus on even the tiniest signs of positivity that I can. When I faced my most difficult times in life I was never handed immediate solutions. However, I took note of small signals that helped motivate me to move forward. As an example, I can remember during a particularly stressful time in my life watching a show that had a powerful scene in it. I downloaded a song that played during that scene and listened to it constantly. It didn’t solve my problems but it kept me hungry and motivated to keep pressing on. These small signals on their own may not end your difficulties but they can be used as fuel for moving forward. Change is a process. No one ever magically wakes up one day with everything completely as they want; it takes time for things to manifest and improve. My life over the past several years transformed into something far greater than I’ve ever experienced. What’s interesting to me about this time period is that none of it happened over night. In fact it was a series of wins seemingly spaced between an equal number of losses. As you go through challenging times try and remember that change is not necessarily linear – there will be (many) ups and downs before you land where you want to be. Get some perspective. As human beings we immediately judge anything that happens to us as either good or bad. However, in many cases it takes time for us to truly know which they were. A person could lose their job today and be in a better job a year from now at which point they’d see losing the first job as a blessing. When most of us look back at our toughest times few of us would change them. It doesn’t mean they were a blast to go through but the strength, motivation and growth it provided almost always leads us to greater things afterwards. Get physical. One of the worst things a person can do when facing adversity is to neglect their body. Doing so usually results in more stress and less motivation. Eating better and making sure to get daily physical exercise of some kind is an excellent way to strengthen yourself to deal with any difficult time. It will also help reduce stress and provide numerous physiological benefits. 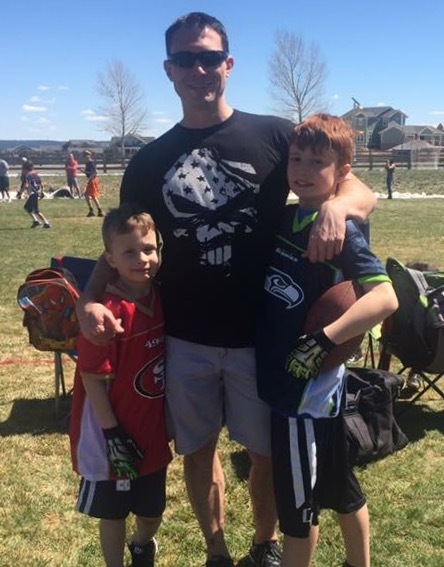 In honor of Father’s Day this weekend I thought today I would like to share some of the lessons that I have found important in raising my two boys. Lead by example. Saying one thing and then behaving in a way that contradicts those words confuses any message. Above all else, I strive to show my boys through my actions what I truly believe. Whether it’s exercise, how to treat people, how much time to spend on a handheld device, what to eat or any other example; I know my children will learn more from my actions than my words. Never give up. Whether physically or in times of trouble I talk continuously to my kids about never quitting. In fact since they were old enough to talk I’ve asked them “when is a good time to quit?” and each time they respond “never! !” My goal is to teach them that quitting on what you believe will never leave you at peace, in fact it will eat you up inside. Conversely, persevering through challenges will lead to amazing achievements and greater self esteem. Respect your body. From a young age I believe it is important to teach children to enjoy taking care of themselves and that it is NOT a chore to do so. My goal has always been to empower my kids with knowledge about things such as exercise and nutrition and then allow them to make good choices for themselves. It is a great source of pride for me that they regularly seek out fun forms of exercise, healthy food (not always), chiropractic adjustments and other positive choices without any prompting from me. This tells me that my boys see the benefits of those actions and want them for themselves. Challenge yourself. I talk to my boys regularly about the importance of seeking to achieve things outside of our comfort zones. One of my favorite recent examples was my son asking to do a race. His longest previous race was 3 miles so we signed him up for an 8 mile race – more than double what he’d ever done. He successfully completed that race (through 9 inches of snow and 20 degree temps) and since then I’ve seen both his confidence and belief in what he can accomplish in the future grow. Comfort zones can be physical and/or mental but breaking out of them is crucial to growth and achievement. Honor what you say. Throughout my business and personal life I’ve dealt with all sorts of people. I often tell my boys stories of those I’ve encountered that do whatever necessary to honor their word and how that leads me to respect and trust them so much. Conversely, I also tell them about people that lie, don’t stay true to their word or make excuses for poor behavior and how that affects a relationship. I believe showing both sides motivates them to want to continue to behave with honor and integrity at all times. Put the work in. I try to teach my boys that what you put in is eventually what you get out. Tough, consistent and smart work will ultimately help sharpen your skill set, increase your resolve and lead to better results. This lesson is extremely important and applies to almost every (and any) aspect of life. 2 weeks ago after we’d played football at the park my boys designed a series of races for me where I had to carry one of them at a time while sprinting or crawling with them on my back. At one point I was bent over breathing heavily and remarked how tough it was. My older son immediately said “well that’s why we do it daddy, it makes you better.” Apparently, they understand this particular lesson. Stick with winners. A major component of how we grow and develop is the company we keep and the people we choose to look up to. I make it a point to teach my boys to seek out positive role models and to learn from those that they respect and admire. This helps foster self-confidence, happiness and personal growth. By seeking out these types of people we create a healthy network of people while also avoiding the personality types that have the potential to bring us down. Laugh at yourself. I joke around with my boys a lot in fun and creative ways and they have no trouble returning the favor. I am also not afraid to share embarrassing moments that I’ve experienced in my life with them. Not only is this fun but it teaches them not to take themselves too seriously and to have a sense of humor about things. I believe this creates self-esteem, prevents them from becoming hyper-sensitive, helps them relate to people better and makes it easier to laugh off certain mistakes when they occur.